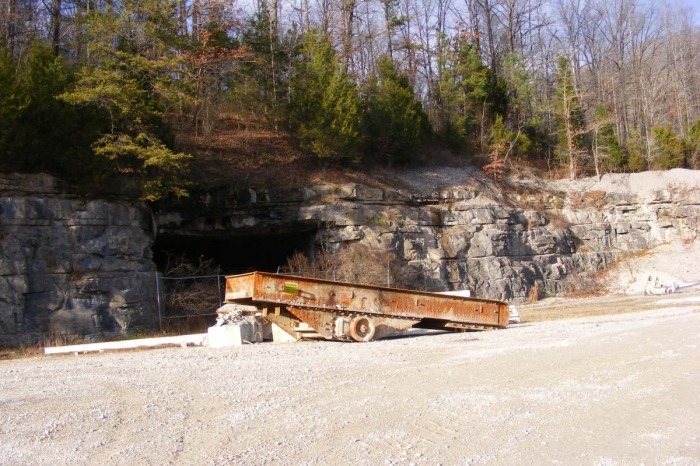 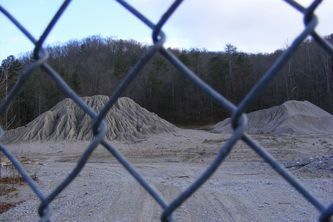 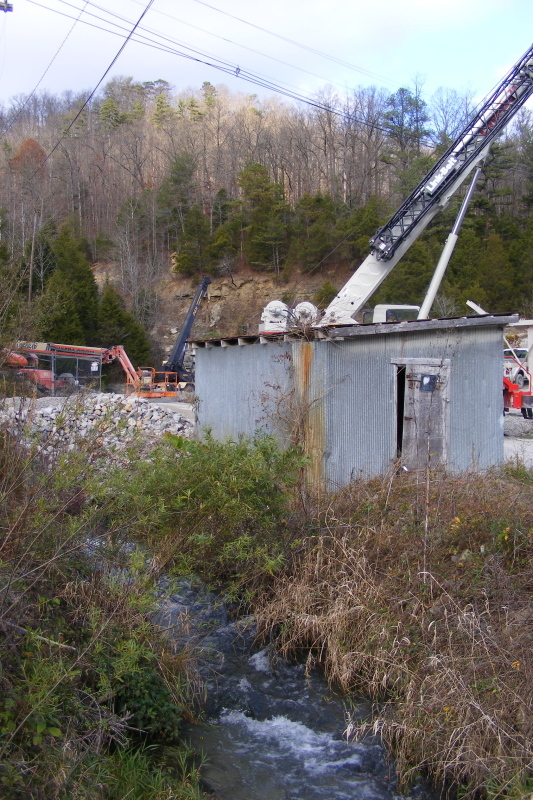 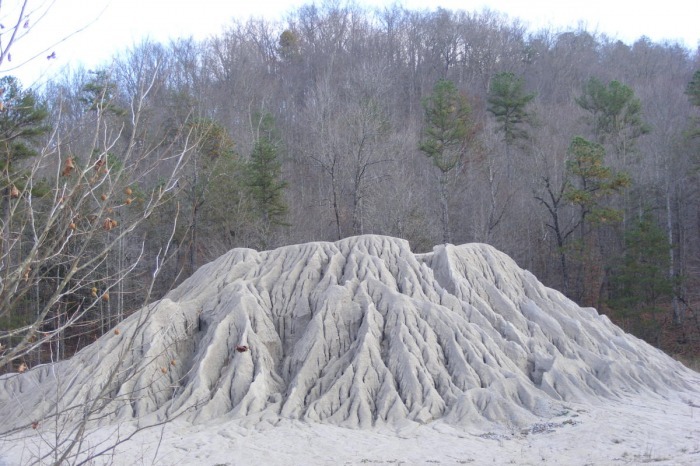 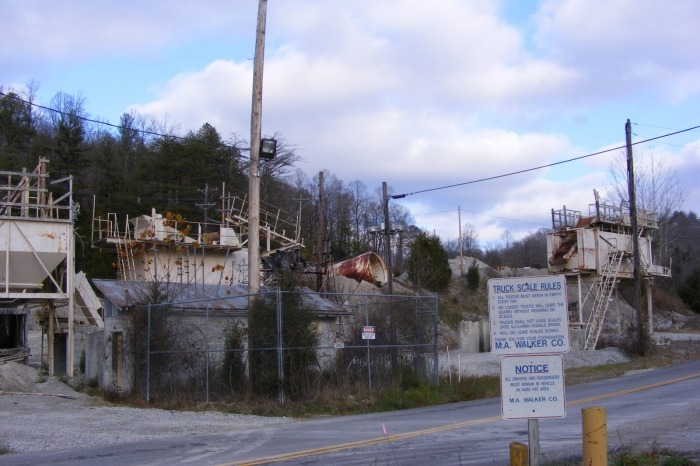 The Indian Creek Quarry is a limestone quarry just south of McKee on public land in the London District of the Daniel Boone National Forest. The national forest land here was worked over by the M.A. Walker Company, and is now leased by the Allen Company. 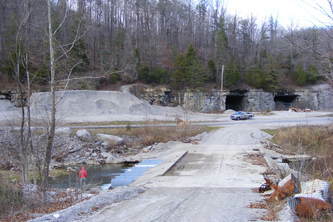 The quarry is currently not in operation. Some of the site is to be remediated, though Allen will say if they will be seeking a permit in the future to remove more limestone. 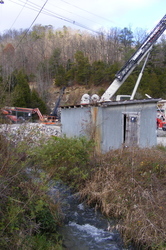 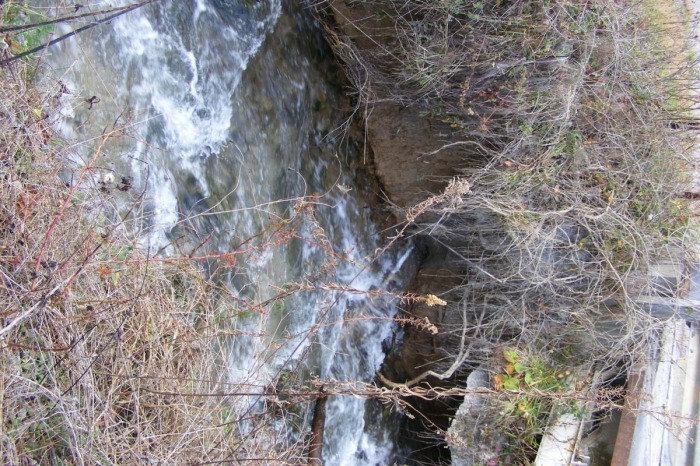 An astounding amount of water is pumped out of the underground quarry system into Indian Creek (a tributary of the Rockcastle River), potentially intercepting a native karst stream system. 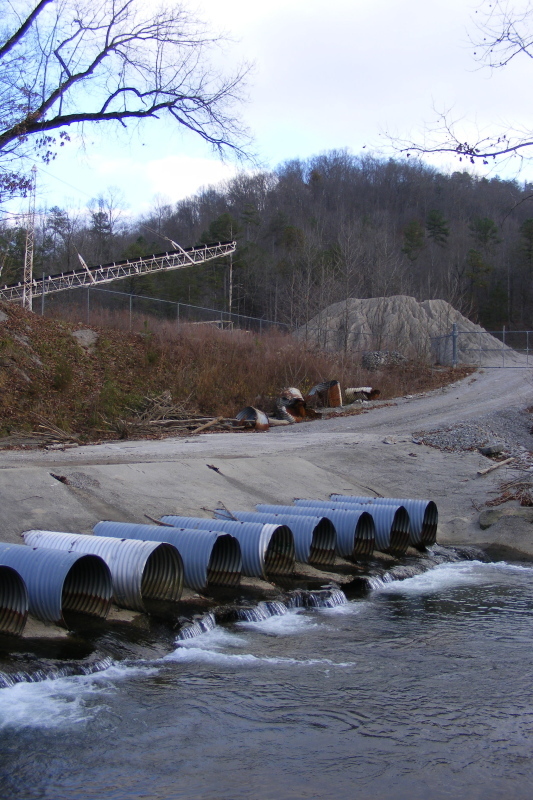 The above-ground infrastructure is on both sides of Indian Creek, with a bridge made of concrete poured over culverts crossing the stream. Not what you usually think about when you envision our national forests lands, eh?